Broussard opened his studio with his wife Janella 38 years ago in his home. They moved to the La Promenade Mall in 1992. He joined the Professional Photographers of Louisiana and was elected and served on the board of directors for 14 years. He served as President in 1997. In 1990, he helped organize the Acadiana Professional Photographers Guild and served as President of two years. 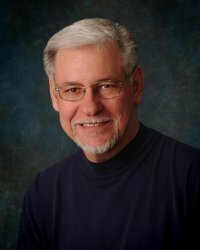 During this time period, he was elected and served on the Southwest Professional Photographer Association for 15 years, serving as President in 2005. The Southwest Professional Photographers consist of members from nine states. On the state level, Broussard was honored to receive the prestigious National Award. Only one is given per year as the Louisiana Fellow Degree. During his career, he has won numerous print awards in state and national competition during his career. He was awarded the Louisiana Photographer of the year in 2007, plus the People Choice Award in the state competition. In 2008, he was presented with the Honorary Lifetime Membership to the Professional Photographers of Louisiana, the first since the organization was started in 1945. Southwest Professional Photographers also honored him with the SWPPA National Award in 2014. His passion was to be behind the camera with the ability to freeze time, record history, and to bring out the best in photographs, whether it was still life or people. His creativity grew with his experience. Photography has opened many doors for him and has enabled him to meet people from all walks of life.